The International Foundation for Protection Officers (IFPO) is dedicated to providing meaningful and cost effective security training for security guards and protection officers. We believe that education is a necessary and essential part of professional security training and the security officer’s background. IFPO serves individuals, security companies, and organizations that have their own private security staff. Our students and members benefit from the recognition and standing that the prestigious IFPO certification conveys. 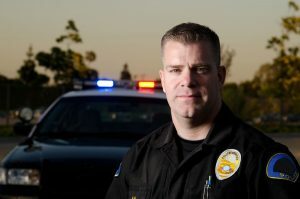 The Certified Protection Officer (CPO) program is designed for protection and security officers that are intent on improving their individual security skills. Available online, correspondence course, or as a Final Challenge. Certified in Security Supervision and Management (CSSM) Candidates address simulated workplace scenarios demanding supervisory / management action, substantiating recommended actions. The scenario material is reviewed to determine certification eligibility. Certified Protection Officer Instructors (CPOI’s) are Certified Protection Officers who have made a significant professional commitment toward advancing themselves as teachers, researchers, mentors and leaders. Our security training programs are designed to work on their own or as part of an organization’s existing curriculum. Frequently, institutions of higher learning will include our security training programs in their courses of study. Ideal for pre-assignment training, new hire orientation or basic training for the security officers already on the job. Unique and flexible, the Security Supervision and Management Program (SSMP) distance learning course is designed to meet the needs of the security supervisor/manager. The International Foundation for Protection Officers (IFPO) and HITS/Smart Horizons have made available high-quality, extremely affordable, interactive online training for private security practitioners. The Certified Protection Officer (CPO), Certified Protection Officer Instructor (CPOI) and Certified in Security Supervision and Management (CSSM) certification programs were approved unders the Navy Credentialing Opportunities On-Line (COOL) program; all all three exams are now fully funded by Navy COOL. For service requirements, see the Master-At-Arms area of the Navy Credentialing Opportunities On-Line (COOL) site. Active duty servicemembers, and veterans, are eligible for our Veterans Appreciation discount.